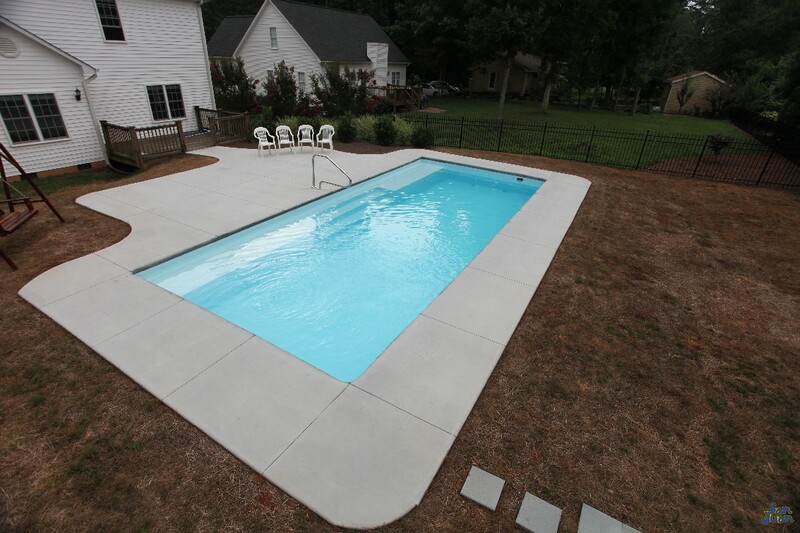 The Grand Manhattan is a beautiful rectangle pool with a very convenient elongated bench seat! This seating arrangement is becoming very popular and lots of home owners enjoy the increased relaxation areas it provides. 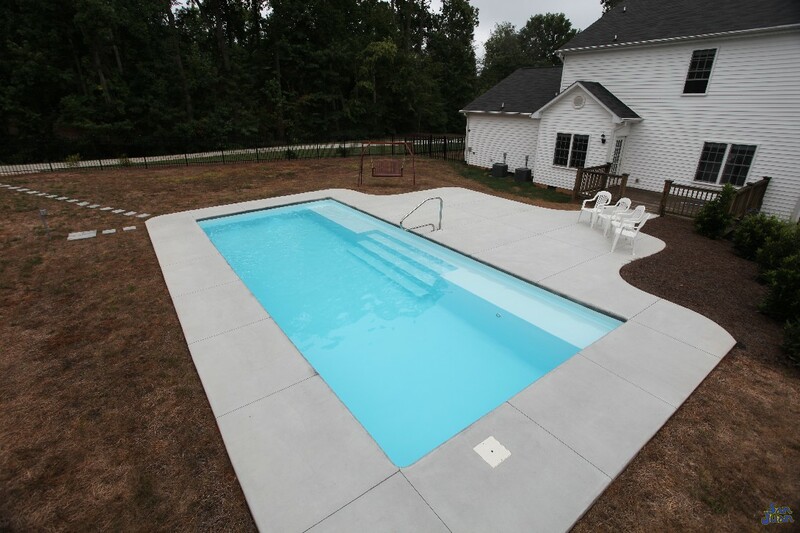 At San Juan Pools, we are believers in spicing up our designs to make them more enjoyable with increased functionality! The Grand Manhattan is a unique twist on a classic rectangle shape. Rather than create a set of entry steps along the narrow end, we decided to plant our steps right in the middle of the long side of the Grand Manhattan. Couple the classy entry steps with the convenient elongated bench seating and you’ve got a modern design that provides a great entertainment area! We are always looking for ways to separate ourselves from the competition and we are proud of our Grand Manhattan! 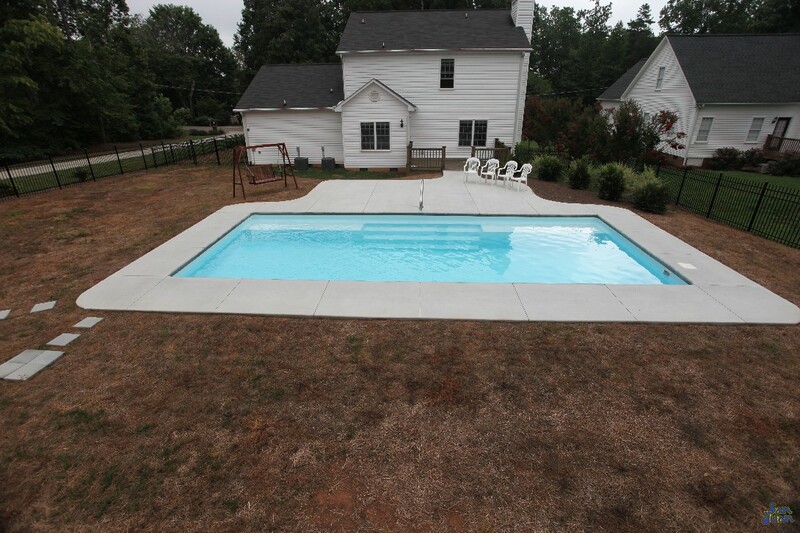 Our San Juan Pools product is much stronger than any other fiberglass swimming pool on the market today. That being said, the Grand Manhattan is a great display of the strength of our fiberglass construction. Elongated benches are sections of fiberglass that endure stresses from higher swimmer loads and constant foot traffic. Only our San Juan Pools fiberglass technology is capable of creating a bench seating that can handle this type of regular stress. We credit the strength of our shells to our mission to only use complete layers of fiberglass and not chopped fiberglass (like our competition). Our construction technique requires a higher investment in raw materials. 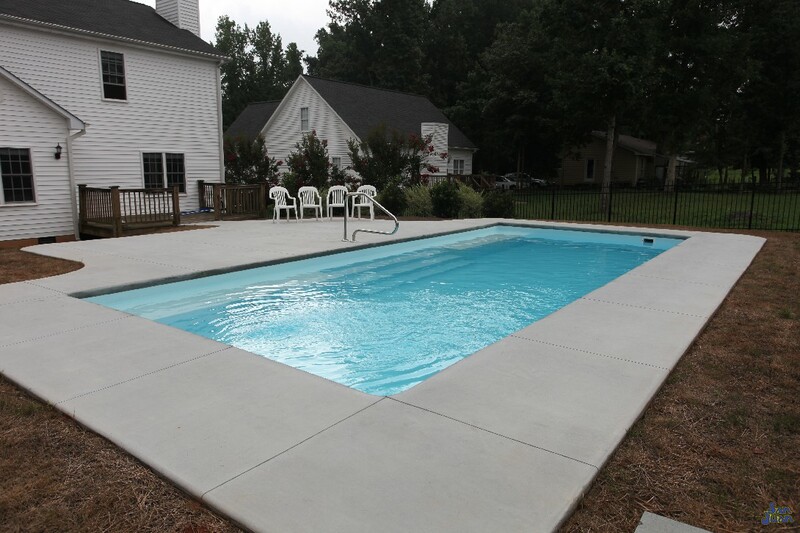 The Grand Manhattan is a rectangular design with a maximum depth of 5′ 1″. There is a gentle slope from the shallow end (4′ 11″) to the deep end (5′ 1″). It’s overall length of 33′ 10″ & volume of 11,600 gallons puts the Grand Mahattan in our large pool family. If your looking for a fiberglass pool that is perfect for entertaining large numbers of guest, the Grand Manhattan is a strong contender!